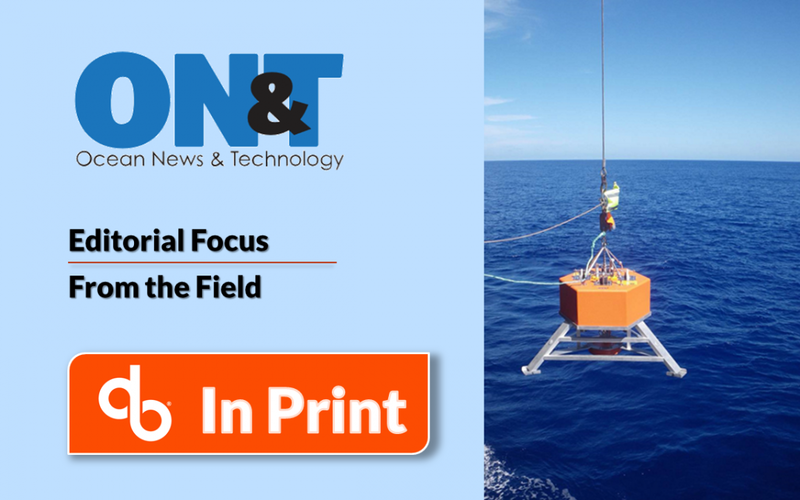 DeepWater Buoyancy was found In Print in the December Issue of the Ocean News and Technology. The article was an Editorial Focus entitled “From the Field”. It is a question and answer session with DeepWater Buoyancy’s Director of Business Development, David Capotosto. …or read the full text of the article below. Could you give us some company history? To understand our company history, I have to take you back to 1979. In that year, David Cook founded Flotation Technologies (Flotec) to produce subsea buoyancy products made from syntactic foam. Mr. Cook was one of the inventors of syntactic foam and had been working with it for over a decade. He and his family grew Flotec into a leader in oceanographic buoyancy products, pioneering buoyancy for instruments like ADCPs and transponders. In the early 2000s, the company proceeded to develop and to produce best-in-class oil and gas subsea products, including drill riser buoyancy and distributed riser & umbilical buoyancy, arguably some of the most challenging subsea foam products. Flotec was acquired in 2008 by a Houston-based subsea equipment and service provider. In 2013, DeepWater Buoyancy acquired the rights and designs for the legacy Flotec material technology and products when its parent company was in the process of closing the New England facility. Since then, DeepWater Buoyancy has been producing, improving and growing the Flotec product line, which has been the industry standard for decades. What are your standard products? Our standard product line is vast and covers applications in numerous markets. It is, of course, principally subsea buoyancy, but also includes related, subsea deployment products. 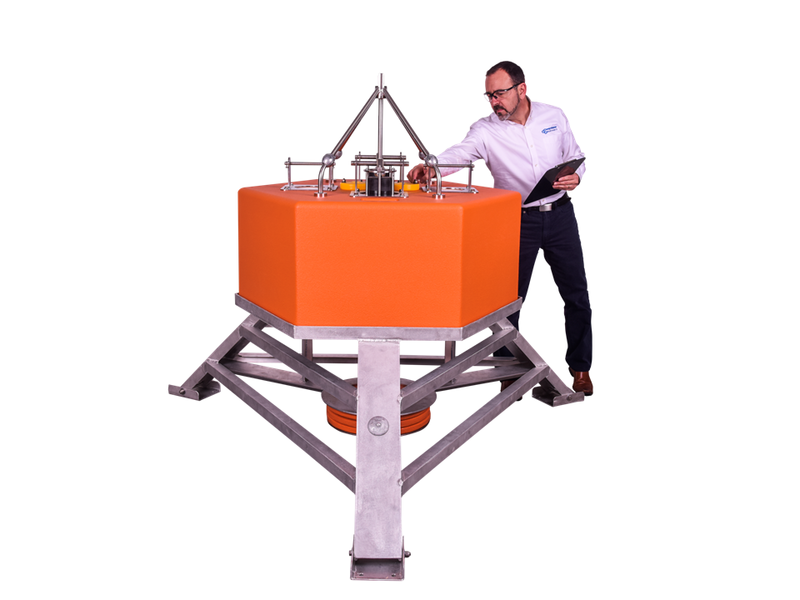 At the heart of the DeepWater Buoyancy product line are the subsurface ADCP buoys. These buoys, originally developed for Teledyne RD Instruments’ ADCPs, are considered the gold standard within the industry. Consisting primarily of both spherical and elliptical buoys, the product line also includes the unique StableMoor® Mooring Buoys. 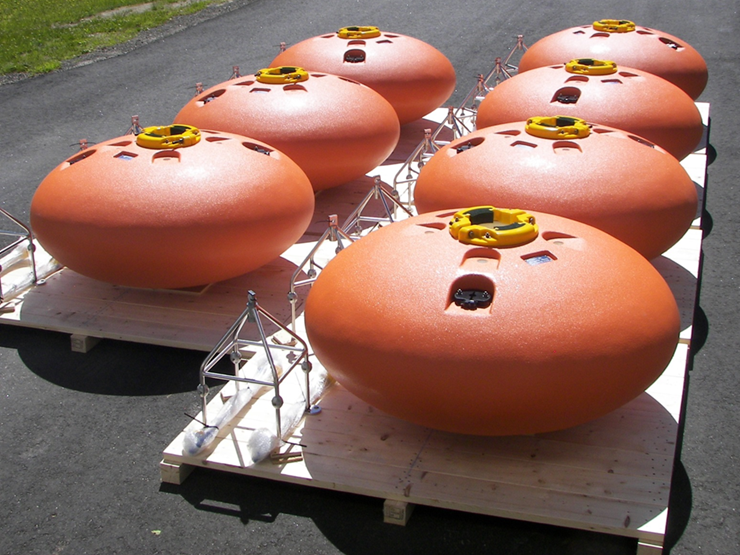 These torpedo-shaped buoys are engineered to house ADCPs and other sensors for high current data collection applications. By design, the StableMoor® reduces drag and increases mooring stability in extreme flow regimes, thereby producing superior data sets. 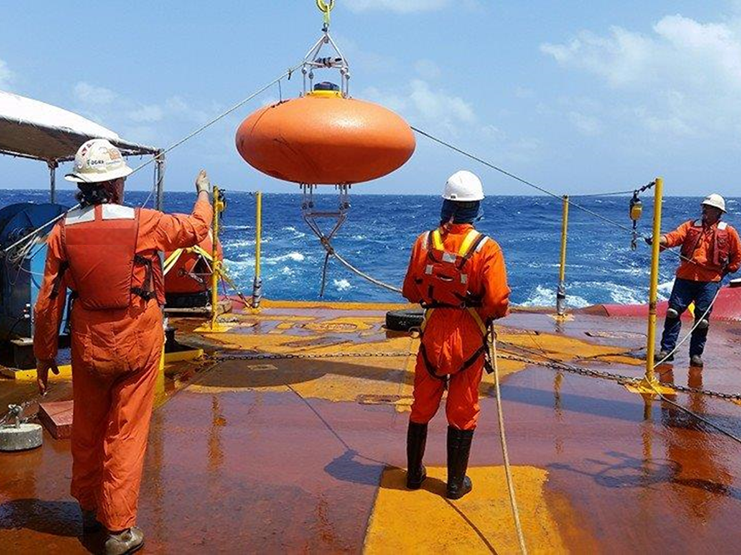 However, DeepWater Buoyancy’s product line goes well beyond ADCP buoys. In the oceanographic market there are bottom mounts, instrument collars, and cable floats. For offshore oil & gas, there are installation blocks, modular buoys, deepwater marker floats and ROV buoyancy. In addition to DeepTec® syntactic foam products and custom-engineered components, there are also plastic, polyurethane and fabricated metal products for use subsea. We continue to develop the standard product line as projects and opportunities arise. Recently we have added mooring line fairings, a new modular installation buoy and a pop-up buoy recovery system. One of the largest challenges we face is lead time. There has always been downward pressure in this area. But with the changes in the O&G market, it seems to have intensified. Overall project timelines are shortened and this, coupled with other factors, can affect procurement schedules. And of course, when designing a system, buoyancy is often the last item to be specified, as the balance of the system’s weight needs to be characterized before uplift can be calculated. Could you talk about an especially challenging case study? We were contacted by a large offshore services provider preparing to do a large metocean study in Brazil for a subsea oil production site. They had been awarded the contract but needed seven of our 64” diameter elliptical buoys. Additionally, they needed to have the buoys customized. In order to meet their deployment timeline, they asked us to produce them in half of the time that would normally be required. Integral to our business and manufacturing strategy is the ability to execute almost all the required manufacturing processes in house. That means we have control of the sequence of operations and can expedite internally, as opposed to relying on and pressuring outside subcontractors. Our operations team was engaged in the challenge and rose to it. The systems were delivered on time to the customer and allowed them to deploy on schedule. What are your largest market sectors? Our largest markets are oceanographic and military/government. Additionally, we have been strong in the offshore oil & gas market and are looking to see growth in that market as the industry recovers. What have been some of your custom products? I am glad you asked this question. Custom products are certainly a strong suit of ours. Often a client can’t find their ideal solution in the product line. Sometimes it is simply a matter of customizing some feature of a standard product. But often it requires our team to start with a clean sheet of paper – or perhaps better stated – a new solid model file. Either way, we will design and produce a custom product to meet the requirement. The company’s design philosophy is, “A customer should have a product that meets the application, and not be forced to adjust their application to an off-the-shelf product.” Whether an iteration of an existing design or a completely new design, the goal is to produce the finest, most appropriate, and cost-effective solution for any given application. Part of the strength of this custom offering is our engineering team with state-of-the-art CAD/CAM technology. But it also includes the vast manufacturing capability and know-how in house. We have a wide assortment of internal manufacturing processes and tools; from foam manufacturing, to welding, to machining, to urethane spray coating. And we have a seasoned staff of capable technicians with decades of experience with these processes and these product lines. Using this approach, we have produced everything from small components for AUVs, to acoustic baffles, to custom buoyancy blocks for the OOI project that are the size of a small automobile. 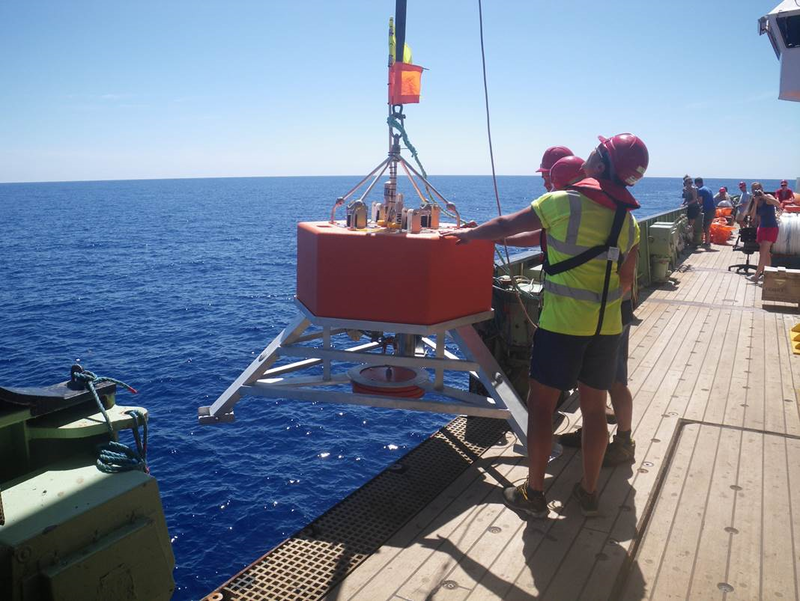 The National Oceanographic Centre (NOC) in Southampton UK approached us with a requirement for a 6000m benthic lander for the RAPID array project. RAPID ARRAY has been deploying bottom pressure recorders across the Atlantic since 2004. The NOC team wanted to address issues in previous designs and make improvements. We worked closely with them to design a new system from scratch using solid modeling. The system included buoyancy, framework, instrument clamps and hardware. The lander is dropped to the seafloor where it collects data. The product is equipped with a dual acoustic release system which allows it to drop ballast when it is time for recovery. Once the ballast is dropped, the system is positively buoyant and returns to the surface. The product was jointly developed and the system was built entirely in our facility. NOC integrated all the instruments and deployed in Spring of this year. Recovery is planned for Spring of 2020. Have there been any AHA moments? Along the way there have certainly been some “AHA moments”. Those moments, when related to products, are often a result of collaboration with the gifted ocean scientists, ocean engineers and the numerous instrument manufacturers with whom we work. There have also been a few material science “AHAs”. After all, at the center of what we do is the development of syntactic foam, that amazing material that provides buoyancy but resists being crushed by the pressure of ocean depths. Of course, I can’t share those moments with you as our syntactic foam technology is proprietary. What have been some of the most interesting projects? Our StableMoor® buoy has provided us with some interesting applications. It is a product that allows for a stable mooring to gather data in high current sites. Last year the National Renewable Energy Laboratories and the University of Washington used the product in a unique way to study turbulence in potential site of subsea turbines for renewable energy production. Understanding turbulence is important in these sites as turbulence places stress on the turbine blades. The product was fascinating in that the buoy housed a number of instruments, the primary instruments were the turbulence sensors. To get the data that was required, there was a turbulence sensor placed in the nose of the buoy. But there were also two additional sensors placed at the end of special carbon-fiber wings. 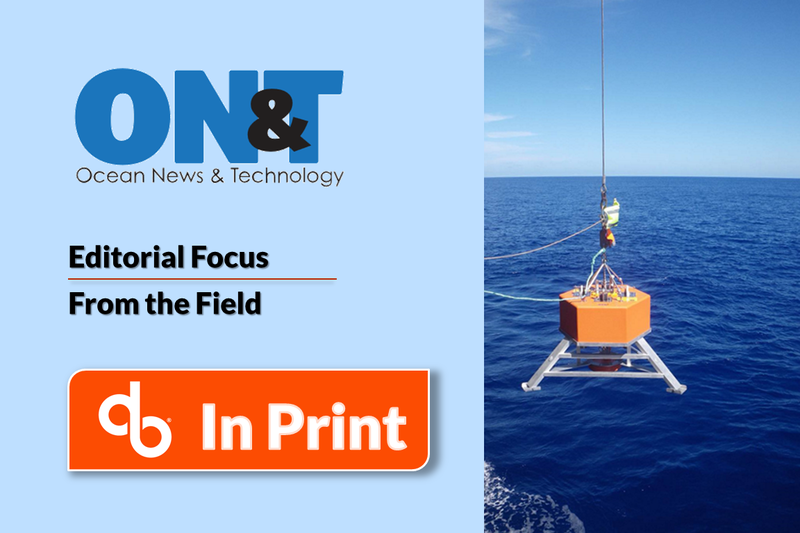 These kinds of projects are interesting because they challenge us to produce unique and robust designs and because they take our buoys to some of the most hostile and chaotic areas of the ocean and in the midst of that difficult environment, support the gathering of important data.